Today Square Enix had a few announcements one of them is their long time producer, Hajime Tabata is leaving. 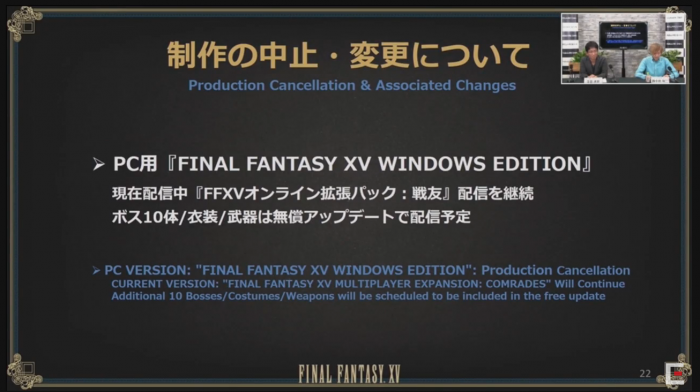 All future planned DLC for FFXV has been cancelled. Their last finished episode titled Episode Ardyn will release in March 2019. Final Fantasy XV has a multiplayer update with some extra content thrown in coming up as well. It’s almost going to be 2 whole years since the release of Final Fantasy XV. 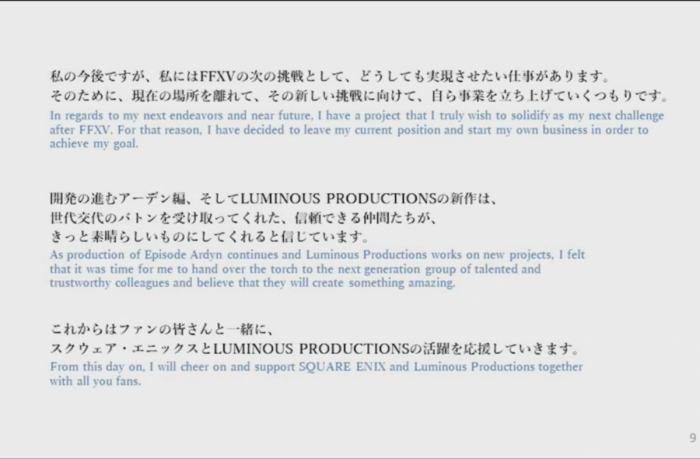 I, Hajime Tabata, will be resigning from Luminous Productions and the Square Enix group as of October 31st, 2018. Every title I was able to be a part of means a lot to me. However, Final Fantasy XV stood out from that group as it was a special project for me which I went all-in. As production of Episode Ardyn continues and Luminous Productions works on new projects, I felt that it was time for me to hand over the torch to the next generation of talented and trustworthy colleagues and believe that they will create something amazing. I would like to thank everyone who continues to support Final Fantasy XV and those who have also supported myself personally.